Reach Over a Million Horse People a Year! We are the leading Horse Industry Information Directory on the Internet. If you are a Reputable Horse Business and have a Great Product or Service for the Horse World, we would love to have you join us! Ann is our Senior Marketing Director, Very friendly and waiting for your call! Our visitors are coming here to learn about your horse related product or service (not to chat, look through classified ads or look at horse pictures). They are doing research on services and products they need now and e-mailing the ads to their friends. All articles on InfoHorse.com are advertiser generated and are a great way to enhance your company brand! Reach your target audience with your message. More than a full page to fully explain and educate horse people. You are reaching people that came to InfoHorse to research and are truly interested in learning about you. Our Visitors are here to get information - that’s why we call the site InfoHorse. Beyond your ad on our site, we place your informative articles on the InfoHorse Home Page where they are read by more people than the biggest horse print magazines. People want to make a informed buying decision and have decided that InfoHorse.com is the best place to research their purchase. Your company needs to be here so you can be considered by them. InfoHorse.com is a unique and Important place for the serious horse owner and businessperson. 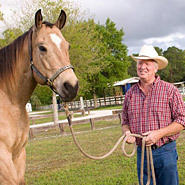 Started in 1997 as a place for the horse industry to deposit in depth information regarding horse related products and services and as a way to distinguish InfoHorse.com from the hundreds of link directories in existence at the time (most now gone), we have always emphasized the "Info" part of our name as important to our visitors and advertisers. We are one of the most visited horse sites on the net (top of the top 1%) and the numbers grow significantly every year. We are still family owned (not owned by a big print magazine) and that has given us the freedom to charge less to our advertisers and give them more exposure by far than a print magazine or a site owned by one. Many of our advertisers are regular people with good ideas and the talent to produce a product or good people starting a career as a horse trainer etc. We have many of the biggest names in the horse industry here as well, all of these advertisers are looking for exposure to the horse public and that is what we are great at. Advertising at InfoHorse.com is so easy and affordable! InfoHorse.com ads are super affordable— we offer a FULL YEAR of FULL PAGE advertising for a fraction of the price our competitors. Best of all, we reach over 1.3 MILLION horse owners annually! All ads are ALL INCLUSIVE— all ads include the right for your company to write EDUCATIONAL ARTICLES for the HOME PAGE! ALL our ads last at least a full year, and every ad is included in ALL appropriate categories at NO additional charge! Best of all you reach a huge reading audience of dedicated horse owners! Because we work on a 3% profit margin, our ads are NON REFUNDABLE— a lot of work goes into each and every ad to make it as EDUCATIONAL and BEAUTIFUL as possible. I wanted to thank you for all you do for AAHS! InfoHorse.com is the ONLY place we choose to advertise and you have tripled our sales! Thank you again and keep up they good work. I think one of InfoHorse’s best assets is YOU! You are so kind ans welcoming. You make everyone feel special ( a trait you share with John Lyons’ wife, Jody). Things are going well here. My clients are the best and a number of them came from InfoHorse! Of course I will be signing up for 2008. Ann, I cannot begin to tell you how excited we are with our new partnership with InfoHorse. It has been a true pleasure working with you and your professional team. Thank you for your diligence, attention to detail, and patience as we worked to get our information online. It is so very gratifying/refreshing to work with an organization that truly cares about the customer and conveying a clear, concise message to the masses. Thank you. We look forward to a very long relationship with you and the InfoHorse family! 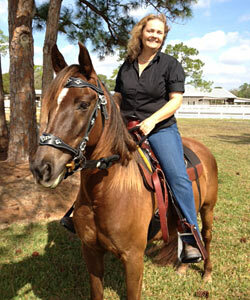 "Ann, we are very happy with our response from InfoHorse.com. You guys are bringing us many contacts. Great job." We are very pleased with the results we are getting from InfoHorse. So far I count 4 sales since August I can verify. I just wanted to let you know that we are getting good results from our extended exposure on your site. Many thanks to you and your staff! Just a note to thank you for all your help in getting us up and running on InfoHorse.com. We've been up about two weeks now, and had our first saddle sale yesterday from a customer who read about us on your site. Not bad for two weeks, right? We're so pleased with the quality of the ad your folks designed for us, and your help and guidance through the process has made this a sure winner for us! We look forward to a long and fruitful relationship with InfoHorse.com. Have a great day! You guys are great! I am happy to refer you! Keep up the good work! We are thrilled with the attention our ad is getting from your visitors! Thanks for directing the woman looking for the round pen to me. I just paid you 2 days ago and it turned into a $1560 sale this morning. I'd say we're off to a pretty good start! Thanks again!! , Matt. Ann, I must get thousands of leads from InfoHorse.com each year. Advertising here has been one of the best things I ever did for my summer camp. Keep up the good work! I feel like a politician, I make a $400 investment in InfoHorse.com and turn it into $4,000, for each tuition check I receive during the year!! You guys are great! Thank you for all your hard work. This has been a very successful site for me. I have received dozens of new clients, including one job that will last me over 9 months. Before InfoHorse.com no one knew I was a John Lyon's Certified Trainer but now I have contacts from coast to coast! Folks Travel Clear Across the U.S to some of our Trainers!! You are right about the Expressinfo. I live and advertise in New York and last year I booked a clinic in FL, IL, VT and western PA with re-books for IL this year. Of course we have the man coming from AK to do Bob's Trainer Ed. Program this year. All possible because of YOU! So I want to really give you a big thank you hug - can you feel it?